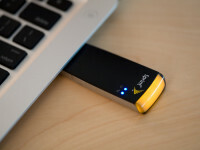 The CCTS Report on Wireless Code Violations: When Is Data on a Data Stick an “Add On”? The Commissioner for Complaints for Telecommunications Services released his annual report yesterday resulting in a wide range of interpretations with some citing improved customer service due to an overall decline in complaints, others focusing on declining customer service owing to an increase in complaints from misleading contractual terms, and yet others pointing to the CRTC Wireless Code as the reason behind the overall decline in complaints. Despite some improvement in service, the most notable aspect of the report is a review of compliance with the wireless code. With the code now fully operational, there is simply no excuse for carrier non-compliance. Yet the data suggests that there are numerous confirmed breaches. Bell is easily the most notable company when it comes to failure to comply with the code: when you combine Bell Canada, Virgin Mobile (which it owns), and Northern Tel (which it now also owns), 2/3 of the confirmed breaches all come from the same source. In other words, every few weeks, Bell Canada or one of its companies had a confirmed breach of the wireless code.